As I had just watched the old version recently, I couldn't help keep comparing it to this new version. 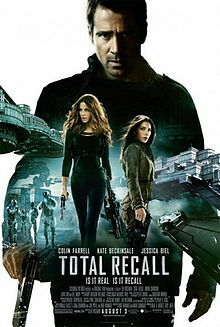 Len Wiseman has only retained like 10% of the original version and revamped the whole movie! Totally action-packed and futuristic to the max! Just loved the whole futuristic version with totally cool technologies! Storyline definitely makes more sense and acceptable in current genre as compared to the old version. Even the casts were good and natural except for Kate Beckinsale. She somehow reminded me of her acting in Underworld with the same intense emotion.